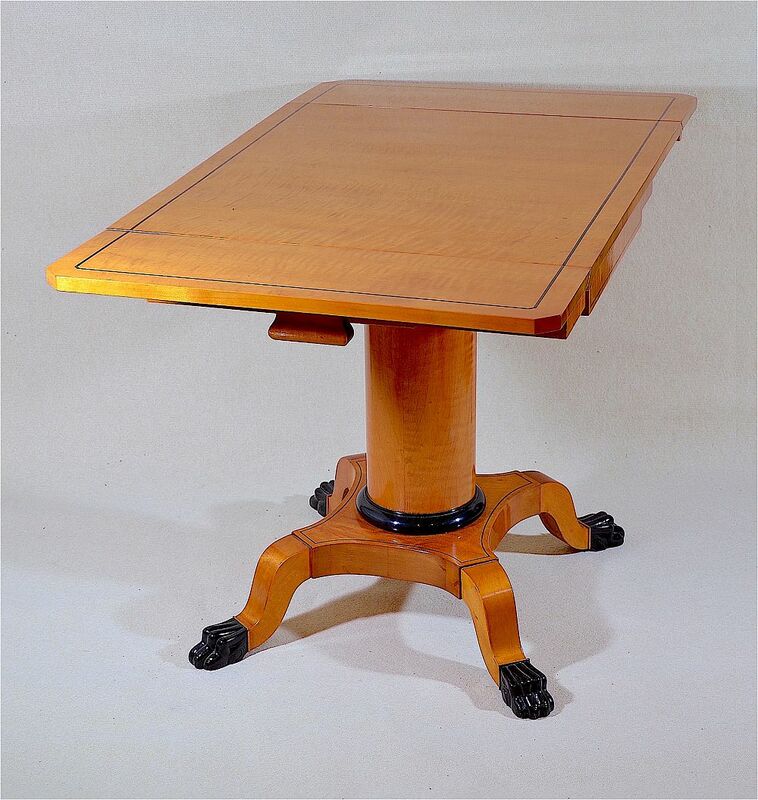 This incredibly elegant Biedermeier style table is Swedish and made between 1890 -1910. 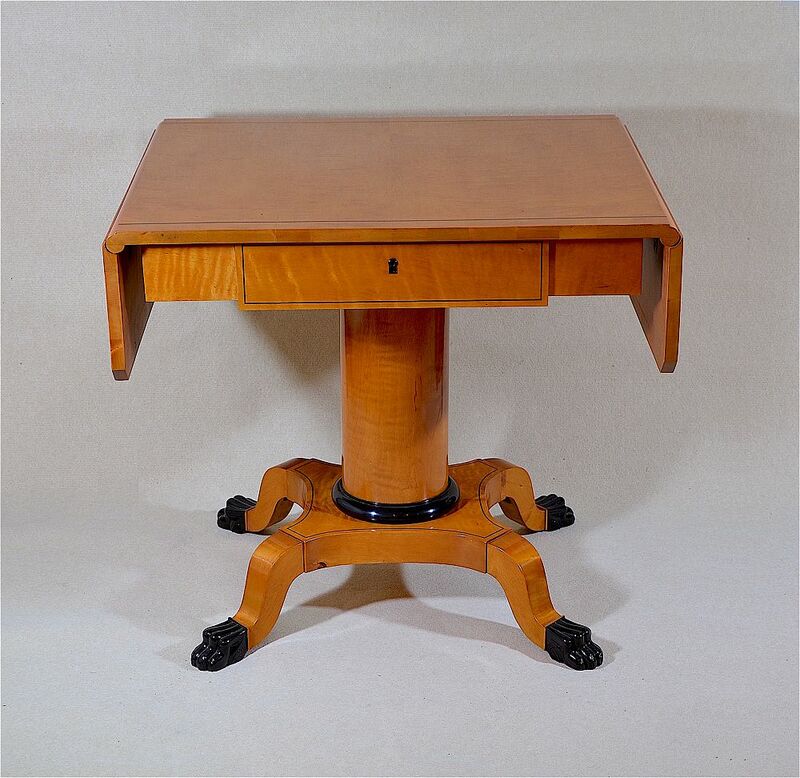 Made in birchwood it has drop leaves and a drawer with ebonised lion's paw feet, an ebonised base to the pedestal and ebonised inlays around the top of the table and the edge of the drawer. 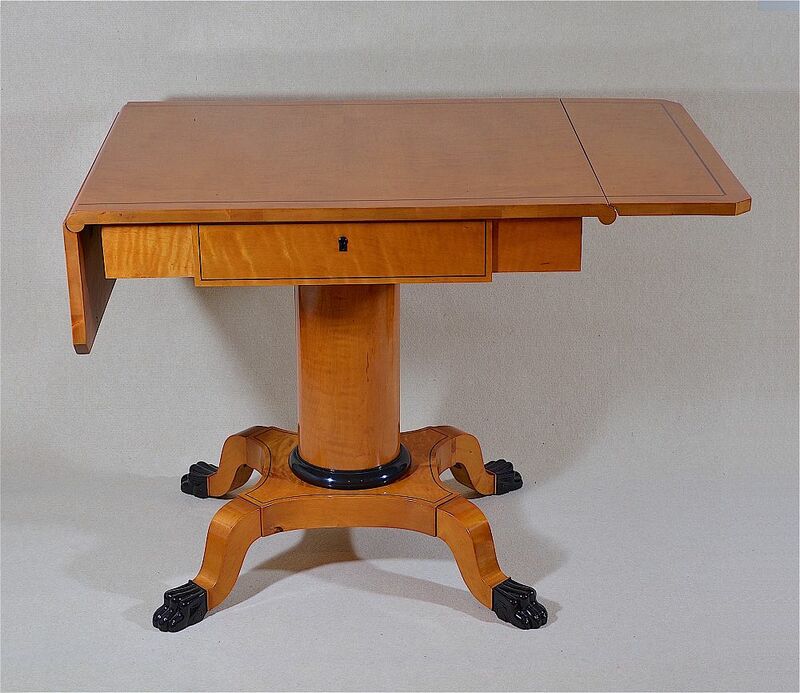 A very useful as well as beautiful piece.